After the slowdowns in March, due to Mercury retrograde, you’ll start feeling back on track, especially at work. Mercury is moving forward once again, and with the Sun in “get going!” Aries at the start of April, you may feel tempted to push ahead right away. But hold back a bit if you can. From April 1 through 5, the Moon will be at the close of her monthly cycle as she moves through the balsamic Moon phase. That’s the quietest, most dreamy and mysterious of all the Moon’s many phases – and the best for meditation and introspection. If you wait until the new Moon of April 5, you’ll find that life flows much more smoothly and supports all the new starts you wish. 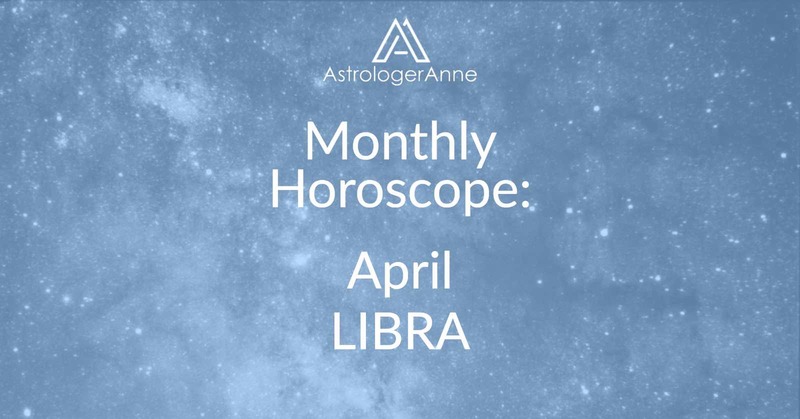 Find out more in my April 2019 Astrology Forecast article, which gives you an overview of all the major shifts and energies coming up in April – and how you can make the most of them. 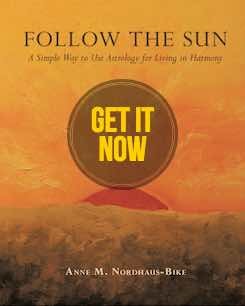 With the Sun moving through Aries, you may feel your energy ebb a bit because the Sun will sit opposite your zodiac sign. Whenever that happens, you may find that other people (such as your spouse or business partner) become more active and want to be in charge. Let them, for now. For yourself, target April 5 to get going on anything related to your primary relationships. If you’re involved with someone, you may decide to get engaged this month. If you’re married, you and your sweetheart may spend more time together (and feel more passionate!) or could partner on a personal project. If you’re more focused on career these days, now is a good time to start interviewing potential business partners, agents, accountants, or other advisors. So let go of last month’s setbacks or slowdowns and get started on goals that can get you ahead. On April 20, the Sun leaves Aries for money minded, earth loving Taurus. That’s your cue to change focus toward finances. You’ll especially want to review money you share with others, such as your spouse’s income, money issues related to an ex, or child support. This part of your chart also relates to money you receive in a lump sum through insurance payouts, gifts, inheritance, royalties, or commissions as well as financial tools such as credit, loans, and venture capital. That makes this an excellent time to review insurance coverage, credit and loan terms, your will, and royalties for intellectual property. Life’s mysteries also fall under this area’s influence. Use Taurus’s steady devotion to make your meditation or other spiritual practice more regular, and bask in Taurus’s earthy wisdom by meditating in nature. You also may feel drawn to explore psychic phenomena, life after death, dream interpretation, or ways to strengthen your intuition. Play hunches, as they’re likely to be accurate now. The full Moon on April 19 will be the second in a row in your zodiac sign, Libra. Think back to March 20, when the first Libra full Moon arrived. What happened on and around that day? How did you handle it? What could you have done differently to create more harmony? Use clues from that period to guide you this time. You may learn important news related to a personal project or about your health, fitness, or nutrition goals. You may have an “aha!” moment about wellness or get a new perspective on how others perceive your image or personality. Pay attention to any information revealed during this time. Bookmark this page so you can revisit your horoscope throughout this month. To see your horoscope from last month, go to your horoscope archives. Have a happy April, Libra! I wish you a wonderful month!